The Behavioral Neurology Program is the referral for uncommon, unusual, or atypical neurocognitive disorders such as early- or young-onset Alzheimer’s disease, frontotemporal dementia, and progressive cognitive problems. About 5 percent of Alzheimer's patients have early-onset Alzheimer’s disease (EOAD) with age of onset of younger than 65 years. Patients with EOAD require special expertise in diagnosis and management as they can be quite different from the usual Alzheimer’s disease. For example, they often present with non-memory difficulties, such as decline in words or language, spatial or visual abilities, the ability to calculate, and other specific cognitive problems. These patients may have additional neurobiological differences, as well as unique psychosocial needs. Our program is one of the few centers dedicated to the study of the unique aspects of EOAD. Frontotemporal dementia (FTD) and other focal dementias are an important group of brain disorders that result in behavioral, cognitive, or language changes. Although far less is known about FTD than about Alzheimer's disease, research during the last 10 years has greatly increased our understanding of these disorders. Researchers at UCLA and elsewhere continue to make discoveries about frontotemporal dementia, formerly known as Pick's disease, and other brain-behavior syndromes. Corticobasal degeneration and progressive supranuclear palsy—problems with movement or motor coordination of arms or eyes. Presence of a change in behavior or thinking with a strong suspicion of an underlying non-acute brain degeneration. Prior medical evaluations and brain scans sent to UCLA for review prior to the patient's visit. The process is usually completed in two visits with scheduled tests in-between the two appointments. Provides referring clinicians consultations on these focal dementia syndromes. The clinic sends referring clinicians a summary consultation report upon completion of the evaluation. This consultation can provide the patient's physician with medication and behavioral management strategies. Education and counseling are also provided to patients, families, and caregivers. Alternatively, if preferred, the patient can be managed through the UCLA Neurobehavior Clinic. In addition to consultation and patient care, the UCLA Neurobehavior Clinic is involved in much-needed research on these neurological conditions. Potential research participation is available in studies exploring the behavioral, cognitive, neuroimaging, and genetic aspects of these disorders. Ongoing studies involve neurocognitive and neuroimaging studies of EOAD, FTD, and related conditions. Mendez MF. Early-Onset Alzheimer’s Disease. Neurol Clin 2017;35:263-281. Mendez MF. What is the relationship of traumatic brain injury to Alzheimer’s disease? J Alzheimer Dis 2017;57:667-681. Mendez MF. Frontotemporal Dementia: Therapeutic Interventions. Front Neurol Neurosci 2009;24:168-178. Mendez MF, Cummings JL. Dementia: A Clinical Approach, Third Edition. Butterworth-Heinemann (Elsevier), Philadelphia, PA, 2003 (ISBN: 0750674709). Clark DL, Boutros NN, Mendez MF. The Brain and Behavior: An Introduction to Behavioral Neuroanatomy, Fourth Edition. Blackwell Science, Malden MA, 2018. 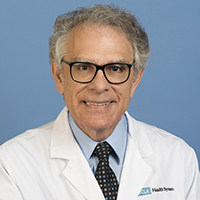 Mario F. Mendez, MD, PhD- Behavioral and cognitive neurologist and UCLA Professor of Neurology and Psychiatry. In addition, as part of the UCLA Alzheimer's Disease Center, the UCLA Neurobehavior Clinic offers the resources of a large group of affiliated clinicians and investigators, including psychiatrists, neuropsychologists, neuroimagers, speech pathologists, and geneticists. Appointments to the clinic are made by calling neurological services at 310-794-1195, faxing at 310-794-7491, or mailing at ATTN: “NEUROBEHAVIOR,” Neurological Services. 300 UCLA Medical Plaza, Suite B200 Los Angeles, CA 90095.